Home magic tricks tutorial 7 Easy Magic Tricks revealed: Learn These Cool Popular Illusions. 7 Easy Magic Tricks revealed: Learn These Cool Popular Illusions. Magic is not Rocket Science. Professional magicians and illusionists will try to create the impression that magic is all about mystical and supernatural powers. The truth of the matter is that magic is all about performance, and tricks. Believe it or not, even the most complex acts you’ve seen out there are all about PERFORMANCE and TRICKS. What this means, therefore, is that anyone can become a magician; even you. You are probably a magic fan or enthusiast, with a burning desire to stand before an audience and see them applause at the end of your rousing performance. Well, it is possible for you to become a distinguished magician, but you will have to start from somewhere. 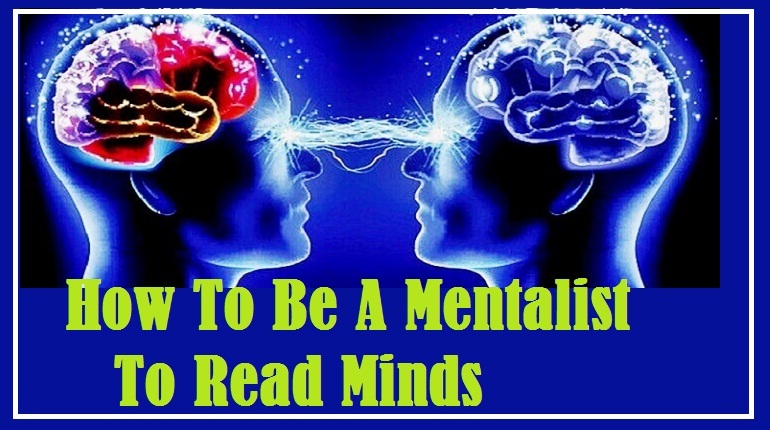 You will have to start with the easy tricks that will give you much-needed experience and usher you into the next phase of professional illusion. Here are seven Easy magic tricks that you can begin with. 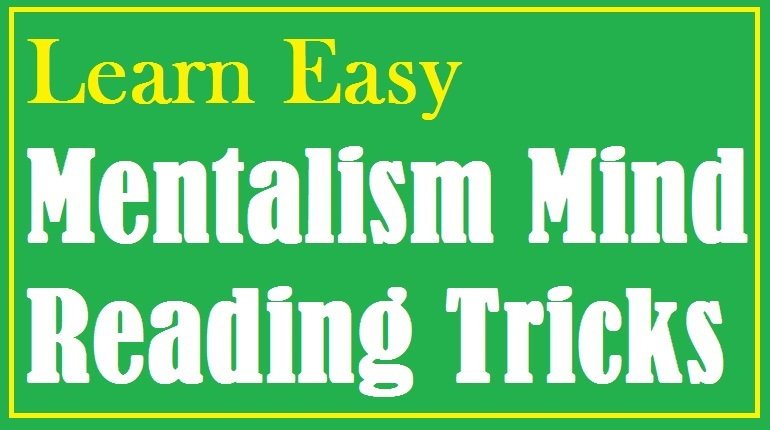 This is a classic trick that is very easy to perform. The good thing with the table coin trick is that you don’t need too much equipment to ace it. Just a flat table, a coin, and of course the most important requirement is your audience. The magic here is when the magician, who is tightly grasping the coin, mysteriously makes it go through the table, just by banging it hard on the table surface. He then grabs the coin on the other side with his other hand before it falls down on the floor. Sounds easy enough, right? Well, it’s easy, after countless hours of practice and mastery. Here’s how to master this trick. You will have to really practice your hand speed because the whole trick rests on how fast your hands move the coin from the table. It’s a split-second affair. There are no holes punched on the table, and you don’t need long sleeves where you can hide the coin. It’s just a matter of how fast one hand gets the coin to the other. Like with most tricks, you will have to find a distraction for your audience. A good distraction that will shift their attention, enabling you to slide the coin from the table. Another important aspect of this trick is the performance. You will have to act like you are holding the coin, and banging it on the table. Here’s how it works. Ask an audience member to verify if the coin is real. Once the audience member gives the coin back, pretend like you want to get a good hold of the coin so as to begin the magic. 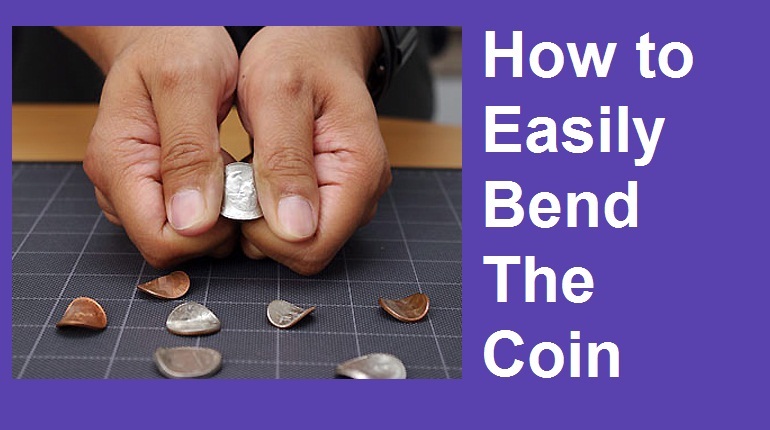 Drag the coin of the edge of the table with your fingers and your thumb in a slanting position. Make sure your other hand is in a position to grab the coin once you drop it. The coin should never drop to the floor. Do not move the recipient hand at all as this may cause some audience members to be suspicious. Once the coin is safely in your other hand, the performance part kicks in. Pretend like you are still holding the coin with the first hand, in the same position like when you picked up the coin from the edge but this time the backside of your hand should face upward, while your fingers should be locked with your thumb as if you are actually holding the coin. The key here is to always ensure the audience will not be suspicious that you actually don’t have a coin in your hand.So make sure you do a good job of concealing that part of your fingers that is supposed to be holding the coin. Let the front side of your fingers face the audience while still maintaining that horizontal position for your hand like you want to bang something on the surface.Next, bang the ‘coin wielding’ palm on the table to give the impression that the ‘coin’ is actually passing through the table. Hit the underside of the table with the coin (which has been on your other hand all along) where the coin is supposed to go through to give an impression like the coin is falling on your other hand. You have probably seen someone else perform this trick over and over again. This is a simple magic trick that is just dazzling. And the good thing about it is that it is a very simple and straight forward trick. It can also be done almost anywhere which is another bonus. The magic works like this; you hold a matchstick or a toothpick between your thumb and index finger, wave your hand around, and the matchstick magically disappears into thin air. Another wave of your hand, and the matchstick appears from out of nowhere. The trick is really simple, and you don’t need to have a sleeve coat or shirt. All you need is some tape or glue. Take the glue and smear sparingly onto the nail side of the thumb which will be used to hold the toothpick. Make sure you attach only the lower side of the stick so that a greater portion of it will appear during the trick. When you want to make the stick disappear, just cause a distraction to the audience, waft your hand around, and straighten all your fingers and thumb to hide the stick. If you want to make it re-appear, fold your thumb in a holding position and make sure the stick is visible. Make sure you hold the stick towards the audience and you can also use saliva if glue is not available. However, saliva will not prove to be an effective sticking agent like glue. If I told you that it really is possible to do this trick, you would brush me aside and tell me that I am getting ahead of my limits. But this is a simple trick, and you will be kicking yourself once you find out how easy it is to get it done. You will need to get yourself to a good spot in the house or premises. A corner in the house is the best place to get this trick done. The most important part of this magic trick is to make sure that the audience is neither in front of you, nor behind you. The most preferable position for your audience to be in is just at the edge of the heel of your shoe. They must also be a couple of meters away from you in a diagonal position. Another very important aspect is balance. You will need a lot of balance in this trick. In fact, you should probably start practicing on your balance first before attempting anything else. Here is how to get it done. Get to your designated corner in the house, and make sure the audience is in the right location. It’s pretty easy. Lift your right leg and make sure it does not go up bent. Ensure it is always straight as it goes up. Also, let your hands not hold onto anything when performing the trick. You will find yourself levitating. How? You ask. Well, remember your left leg? Your left leg will perform a critical function to aid the trick. Lift your left leg with your toes, almost like a Ballerina dancer but not up to your tip toe. (But if you can, the better.) Make sure your right leg always conceals your left leg which is not levitating, and make sure it is always straight. It will really look like both of your legs are levitating. You should also ensure that your feet are together always.Also, as your left foot moves up slowly push your right foot downwards so as to further conceal your left foot.Balance is key here, so make sure you practice a lot before attempting this trick. For starters, you will have to get some coffee cups for the trick. That’s all. This trick will need a lot of performance and creativity as well. Cut a really small hole in the Styrofoam on the side of the coffee cup. This hole should not be too small. It should be large enough to fit your right-hand thumb. Stick your thumb into the Styrofoam discretely. Next, gently lift both of your hands simultaneously before your audience while distracting them with magic sounds and finger waving in a levitating motion. Try to keep the cup in the middle of both of your hands for a better illusion. It will really look like the cup is floating. This would be a really useful and cool magic trick especially during the hot summers when all your friends just want to stay cool. This trick is more scientific than it is magic. You will be surprised at how easy it is to wow your friends with this one. You will need some purified bottled water that you can easily access at your local store. Make sure the water is purified, and for the trick to work efficiently, it has to be in a bottle. Also, don’t just purchase one bottle. Get numerous bottles. If you can get a six pack or a dozen, it would be really great. Remember, the more bottles you have, the higher your chances of getting the trick done. Next, you will have to place the bottles into your freezer at a constant temperature of -24 degrees. You can set the temperature knob to 5 or 7. (Make sure you leave the bottles overnight outside the freezer before putting them in the Freezer. This is to make sure the bottles absorb the room temperature.) After inserting the bottles into the freezer, make sure they lie on their sides, and that the distances between them are equal. Close the freezer door and wait for one and a half hours. Open the door and check if the bottles are frozen. If they are not, quickly shut the door and keep checking after 15 minutes. It usually takes about between 2 hours and 30 minutes to 2 hours and forty five minutes for the first bottle to freeze. Don’t expect the bottle to completely freeze over. It will still be a liquid albeit with flakes of ice floating about. Gently take the bottles out slowly and make sure you have an audience present. Grab a bowl and fill it with some ice. Now open your bottle and pour out the water onto the ice. You will immediately notice that the water will freeze upon contact with the flakes creating unique cone flakes that you can give your friends. The best way to ensure success with this trick is to make sure you get the temperatures right. Over freezing or under freezing might result in the trick not working, so make sure you get the temperature just right. This extremely simple trick attempts defy the laws of gravity by enabling a ring, to go in an upward direction without being pushed. It is a very unique magic trick because you only need basic objects to perform it. You will need a rubber band string and a ring. Pass the rubber band through the ring. Hold both sides of the rubber band and stretch. The ring will start going in an upward motion instead of going down as is expected. Your audience will be dazzled. get a large piece of the band inside your palms. Hold one end of the remaining band with your fingers while also holding the other end. You will notice that when you slowly pull one side of the shortened band, the ring will appear like it’s climbing the band. This is brought about by the stretching nature of the band which drags it upwards. You can distract your audience by constantly staring at the ring as it goes up so that they will think that your mind is controlling the ring. This is a mind-blowing trick that will simply leave your audience awed. A simple pencil is driven through a water pack without causing a spill. You will, therefore, need a very sharp pencil, and a pack of water. Preferably in a Ziploc bag. This is probably the simplest trick in the list. All you have to do is fill the bag ¾ way and drive the pencil into the bag. You will notice that the water won’t spill and the explanation is scientific. Plastic bags like Ziploc bags are polymers which have long bonds and chains. When the pencil enters the polymer, its molecules form a shield around the pencil trapping the water molecules. But this is your secret. No one in the audience has to know about it. 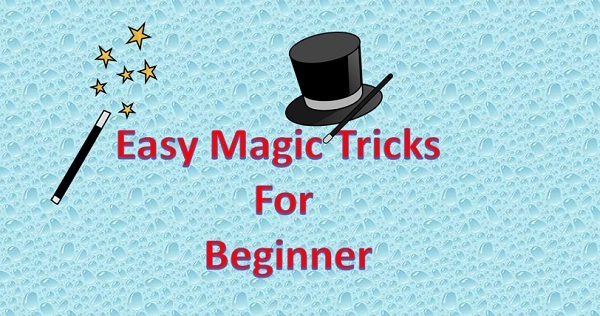 Hopefully, after getting a grasp of this easy tricks you will have the required experience and feel of what it’s like to perform some magic tricks. The plan is for you to get a burning desire and hunger to perform even bigger, and more complex stunts. You are surely on your path to becoming a great magician after mastering these tricks.